Holiday consumerism is out of control in the United States. Consider this: According to the National Retail Federation (NRF), 135.8 million Americans plan to shop on Thanksgiving weekend. 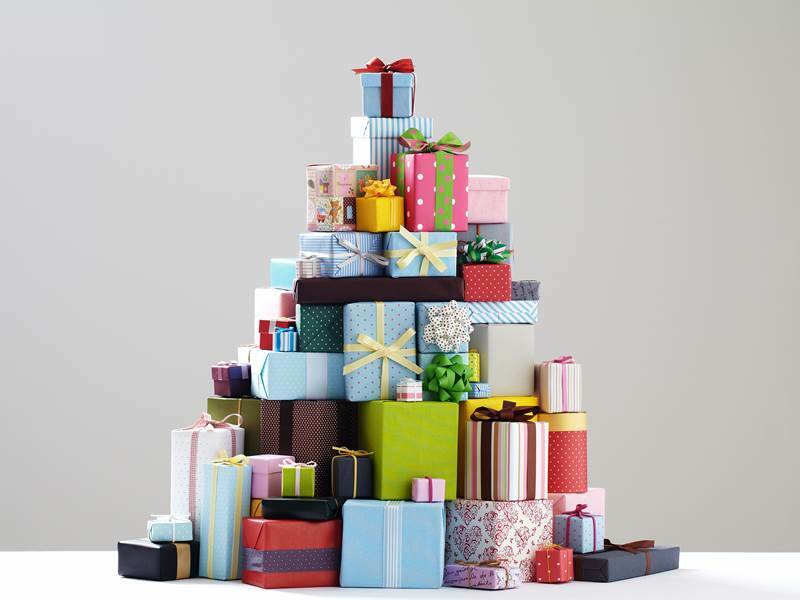 American Research Group, Inc., noted that all in all, Americans are spending more, not less on holiday gifts as the years go on. Consumers expect to spend an average of $882 on holiday gifts in 2015 and that includes parents who said that they spent an average of $271 on Christmas gifts per child, though 1 in 10 parents said they would spend $500 per child. Keep in mind too, that surveys go by the individual, not family, so in families with 2 parents plus grandparents, some are spending well over $1,000 on gifts for kids alone. This is astronomical insanity. I've spent about $250 on Christmas annually and that included gifts, meals and events, and I still felt like I could cut back some. You simply don't need to spend thousands on Christmas or Hanukkah gifts. Keep reading to learn more about the negative aspects of an excessive consumer holiday season and learn how to make your holiday simpler and more meaningful. It’s not like I want to be a Grinch and kill Christmas. I like Christmas. What I don’t like is the excessive materialistic attitude that seems to go along with it. I’ve seen kids making fun of grandparents for “stupid gifts” and adults slamming homemade gifts. I’ve seen tons of people in debt for years just to pull off an excessive holiday and parents who are so tired from planning an over-the-top holiday that they’re way too exhausted to even hang out with their children on Christmas Day. It’s madness. Below are some negative aspects of an overly consumer holiday. Research shows that parents who spend more money on stuff tend to do so because it’s an alternative to spending time with kids. Kids need time with parents more than they need new stuff. The me, me, me attitude that goes along with a consumer Christmas can result in kids who are greedy, selfish and only enjoy the material aspect of holidays. In fact, national surveys show that 80% of parents feel like they’re raising selfish kids while another survey shows that youth in America are more materialistic than anywhere else in the world and tend to define their social status by how much stuff they own. A study in the spring of 2007 reported a 30% increase of narcissism (when you only care about yourself) over the past twenty years as consumer spending has skyrocketed. Commercial Free Childhood found that 63% of parents say their children define their self-worth in terms of what they own and that more than half of all kids say they’d be happier if they had more money they could spend on themselves. Other research by Commercial Free Childhood notes that kids raised in a materialistic manner are less happy, more depressed, have lower self-esteem, and report more symptoms of anxiety. These same kids also engage in fewer positive eco-behaviors such as reusing paper, and using less water while showering. Materialistic kids, no surprise are far less caring. When asked in one study, what they’d do if they suddenly won a lot of cash, kids who were into stuff, reported less generosity and say they’d allocate less money to charity then kids not raised with excessive stuff. Lastly, quite a bit of research shows that consumer-driven kids cause family stress, sibling stress and parental stress. I’ve heard a lot of parents say things like, “Well, I had nothing as a kid, so I want my kid to have more.” That’s fine, but make that “more” significant, such as more time or more love, not more stuff. Giving a child a million gifts and fulfilling their every holiday whim takes all the magic and surprise out of the holidays. Plus, excessive stuff takes over the true meaning of the holidays — which should be family time and togetherness. Luckily, there are some steps you can take to stop this insane cycle of excessive consumerism. Buy less stuff – if you’re a stuff hog, your kids will surely copy you. Live consciously and be very aware that time and experiences matter more than stuff. Shop smart. If you make each purchase count, your kids will mimic you. Believe that your kids can think for themselves IF you give them the tools to do so. 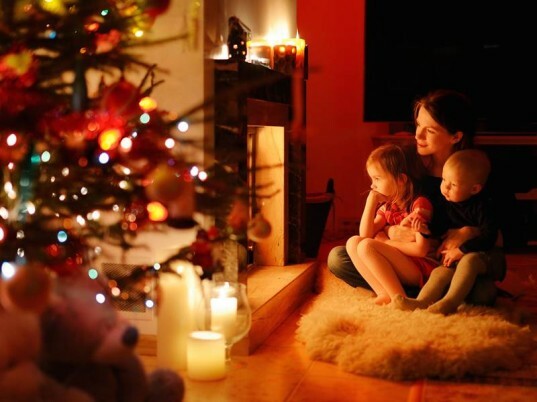 Set examples that teach kids about family-centered vs. stuff-centered holidays. Kids and teens can be smart eco-minded consumers if you have open, honest discussions frequently with them about spending, advertising, buying green and so forth. I know some parents who say, “Money discussions aren’t meant for kids” or, “It’s embarrassing to discuss budgets with kids – I don’t want them to know I can’t afford something.” However, if you don’t discuss these issues with your children, they’re going to be educated by peers and ads instead of you. While there’s no such thing as a one-size fits all method for navigating the holidays and everyday spending with your kids values intact, there are some basic steps all parents can take. Talk about spending and the family budget with your kids – yes, they can handle it. Don’t gloss over spending as if you own a never-ending money tree. My son knows how much our rent is, how much the electricity bill is and how much we spend on groceries. Likewise, he helps to budget for these items better, such as he’ll turn off lights and choose less expensive groceries so we have more “fun” money at the end of the month. He’s only 12, but he’s a pretty savvy shopper because I’ve been budgeting with him, not around him, for years. Encourage your kids to make smart eco-minded purchases. Teach your kids to ask the questions: Do I need it? Can I afford it? How badly do I want it? Will I use it? Is it recyclable or otherwise healthy for the planet? before they buy something. Make kids spend their own money on gifts or help them make homemade gifts. Many parents simply hand over cash to kids and say, “Go shopping.” This teaches nothing. I give my son some non-chore based spending money each month. An allowance if you will. He spends some, but I also encourage him to save some each month in his savings account so that he has money to spend on holiday gifts. He also makes some homemade gifts each year. Kids who spend their own money or time on gifts tend to learn what it means to give, budget and really think purchases through. Discuss why advertisements target kids and encourage your kids to not believe everything they see when it comes to commercials. Let your kids know that local, green, and used items can be just as good as brand name items they see frequently in ads. Carve out plenty of time with your kids. When a board game or hike is fun, kids learn that there are awesome times to be had that do not involve buying stuff. Get more tips about encouraging kids to be less stuff centered. Kids raised with excessive stuff can be converted into more caring, less materialistic individuals late in the game, but it’s way harder than simply raising your kids with non-stuff values from birth. Kids need holiday traditions to feel happy and safe, but you can be in charge of what sort of traditions your kids expect. If you have young kids, plan experience and time based holiday events such as sledding days, volunteering, playing in the snow, winter hikes, Christmas craft days, and cookie making parties from the get-go. Raise your children to value time with family and people over stuff. If you have older kids and they’re used to stuff-filled holidays, it’s harder to change the situation, but not impossible. First you’ll need to adjust everyone’s train of thought – yours and your kids. Let the kids help plan activities and traditions that don’t involve stuff and be patient. If kids have been showered with excessive gifts for years, they’ll expect it now, and while change can happen, it won’t happen overnight. Make a budget and stick to it: REALLY stick to your budget and have your kids do the same. Avoid shopping events: Events like Cyber Monday and Black Friday do one thing – encourage fast, mindless spending. Don’t go there. You don’t need these events to celebrate the holidays. Don’t give arbitrary gifts: Many people give gifts to everyone they know. That’s nuts. Don’t give gifts because it’s expected or the “American way” give gifts that matter to the people who matter most. Consider giving gifts to only your immediate (IN THE HOUSE) family and see how it goes. Go used: It’s 100% okay to buy thrift store gifts or even to re-gift. Why waste new goods and materials? Plus, while some feel re-gifting is tacky, what’s actually tacky is tossing stuff you’ll never use into a landfill when someone else might like it. Get over your obligation to hold onto gifts you don’t need. Avoid guilt: Tell friends and family before the holiday season hits that you’re only giving gifts to your immediate family, or only giving gifts to the kids. Ask people nicely not get you anything and if they won’t listen, don’t let guilt force you into buying some meaningless gift for the person. Give experience or homemade gifts: Experience gifts and homemade gifts say you care enough to spend time over excessive money. Ban gift cards: I rarely feel like gift cards are a good gift. To me a gift card usually says, “I feel like I have to get you a gift, but I don’t know you well enough to pick a personal gift out.” Gift cards can work, say for iTunes when you’re unclear about the music someone owns, but overall, there are more meaningful gifts to be had. Celebrate a Buy Nothing Christmas: It’s extreme, but will the world end if you give zero gifts? No. Spend your money on fun events or a great family vacation instead. Draw names: Some families draw names out of a hat then only buy that one gift. Avoid baby gifts: Babies do not appreciate stuff at all – it’s part of their consumer-free charm. Plus, babies need very little. If you have a baby, consider asking for something you really need like free babysitting. It's not like I want to be a Grinch and kill Christmas. I like Christmas. What I don't like is the excessive materialistic attitude that seems to go along with it. I've seen kids making fun of grandparents for "stupid gifts" and adults slamming homemade gifts. I've seen tons of people in debt for years just to pull off an excessive holiday and parents who are so tired from planning an over-the-top holiday that they're way too exhausted to even hang out with their children on Christmas Day. It's madness. Below are some negative aspects of an overly consumer holiday. Research shows that parents who spend more money on stuff tend to do so because it's an alternative to spending time with kids. Kids need time with parents more than they need new stuff. The me, me, me attitude that goes along with a consumer Christmas can result in kids who are greedy, selfish and only enjoy the material aspect of holidays. 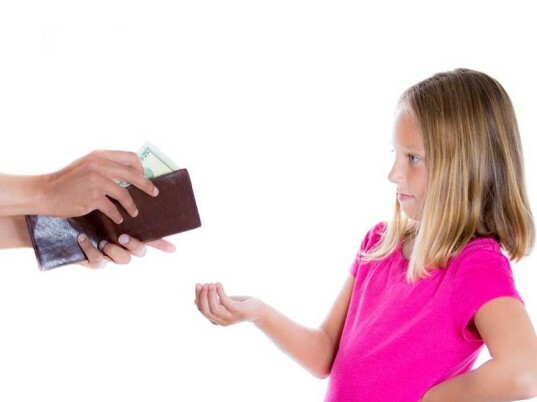 In fact, national surveys show that 80% of parents feel like they’re raising selfish kids while another survey shows that youth in America are more materialistic than anywhere else in the world and tend to define their social status by how much stuff they own. A study in the spring of 2007 reported a 30% increase of narcissism (when you only care about yourself) over the past twenty years as consumer spending has skyrocketed. Commercial Free Childhood found that 63% of parents say their children define their self-worth in terms of what they own and that more than half of all kids say they'd be happier if they had more money they could spend on themselves. Other research by Commercial Free Childhood notes that kids raised in a materialistic manner are less happy, more depressed, have lower self-esteem, and report more symptoms of anxiety. These same kids also engage in fewer positive eco-behaviors such as reusing paper, and using less water while showering. Materialistic kids, no surprise are far less caring. When asked in one study, what they'd do if they suddenly won a lot of cash, kids who were into stuff, reported less generosity and say they'd allocate less money to charity then kids not raised with excessive stuff. Lastly, quite a bit of research shows that consumer-driven kids cause family stress, sibling stress and parental stress. I've heard a lot of parents say things like, "Well, I had nothing as a kid, so I want my kid to have more." That's fine, but make that "more" significant, such as more time or more love, not more stuff. Giving a child a million gifts and fulfilling their every holiday whim takes all the magic and surprise out of the holidays. Plus, excessive stuff takes over the true meaning of the holidays -- which should be family time and togetherness. Luckily, there are some steps you can take to stop this insane cycle of excessive consumerism. Many parents blame commercials and companies when their kids act stuff-crazy when in reality your habits and teachings have a bigger impact than the media. While it's true that there's rampant advertising aimed at kids in America, it's a cop-out for parents to not take responsibility and teach kids how to handle stuff. Plus, unless you send your kid off to live in a cave, he will encounter commercialism. You could ban TV, skip the mall and never buy a name brand anything, but that's hardly realistic. As a green parent your realistic goals should be to: Buy less stuff - if you're a stuff hog, your kids will surely copy you. Live consciously and be very aware that time and experiences matter more than stuff. Shop smart. If you make each purchase count, your kids will mimic you. Believe that your kids can think for themselves IF you give them the tools to do so. 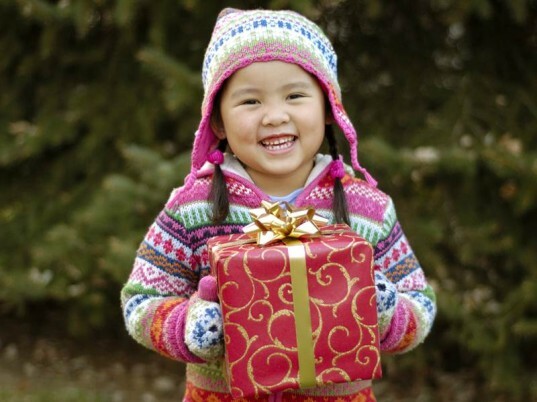 Set examples that teach kids about family-centered vs. stuff-centered holidays. Kids and teens can be smart eco-minded consumers if you have open, honest discussions frequently with them about spending, advertising, buying green and so forth. 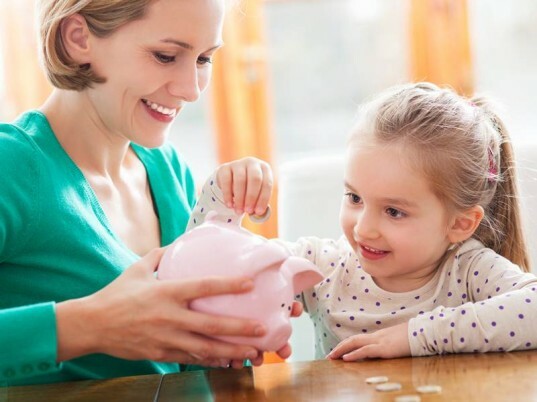 I know some parents who say, "Money discussions aren't meant for kids" or, "It's embarrassing to discuss budgets with kids - I don't want them to know I can't afford something." However, if you don't discuss these issues with your children, they're going to be educated by peers and ads instead of you. While there's no such thing as a one-size fits all method for navigating the holidays and everyday spending with your kids values intact, there are some basic steps all parents can take. Talk about spending and the family budget with your kids - yes, they can handle it. Don't gloss over spending as if you own a never-ending money tree. My son knows how much our rent is, how much the electricity bill is and how much we spend on groceries. Likewise, he helps to budget for these items better, such as he'll turn off lights and choose less expensive groceries so we have more "fun" money at the end of the month. He's only 12, but he's a pretty savvy shopper because I've been budgeting with him, not around him, for years. Encourage your kids to make smart eco-minded purchases. Teach your kids to ask the questions: Do I need it? Can I afford it? How badly do I want it? Will I use it? Is it recyclable or otherwise healthy for the planet? before they buy something. Make kids spend their own money on gifts or help them make homemade gifts. 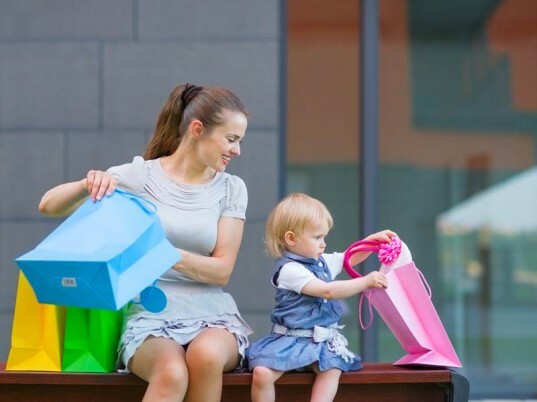 Many parents simply hand over cash to kids and say, "Go shopping." This teaches nothing. I give my son some non-chore based spending money each month. An allowance if you will. He spends some, but I also encourage him to save some each month in his savings account so that he has money to spend on holiday gifts. He also makes some homemade gifts each year. Kids who spend their own money or time on gifts tend to learn what it means to give, budget and really think purchases through. Discuss why advertisements target kids and encourage your kids to not believe everything they see when it comes to commercials. Let your kids know that local, green, and used items can be just as good as brand name items they see frequently in ads. Carve out plenty of time with your kids. When a board game or hike is fun, kids learn that there are awesome times to be had that do not involve buying stuff. Get more tips about encouraging kids to be less stuff centered. Kids raised with excessive stuff can be converted into more caring, less materialistic individuals late in the game, but it's way harder than simply raising your kids with non-stuff values from birth. Kids need holiday traditions to feel happy and safe, but you can be in charge of what sort of traditions your kids expect. 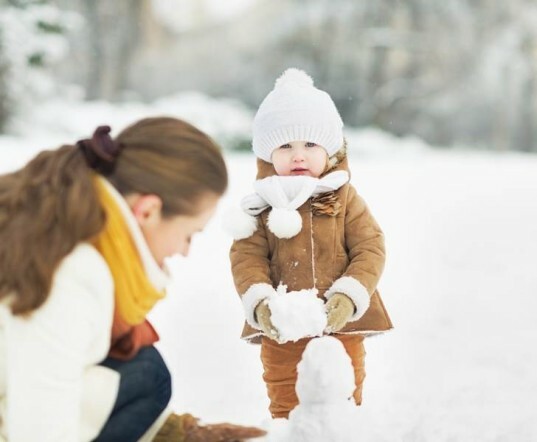 If you have young kids, plan experience and time based holiday events such as sledding days, volunteering, playing in the snow, winter hikes, Christmas craft days, and cookie making parties from the get-go. Raise your children to value time with family and people over stuff. If you have older kids and they're used to stuff-filled holidays, it's harder to change the situation, but not impossible. First you'll need to adjust everyone’s train of thought - yours and your kids. Let the kids help plan activities and traditions that don't involve stuff and be patient. If kids have been showered with excessive gifts for years, they'll expect it now, and while change can happen, it won't happen overnight. Make a budget and stick to it: REALLY stick to your budget and have your kids do the same. Avoid shopping events: Events like Cyber Monday and Black Friday do one thing - encourage fast, mindless spending. Don't go there. You don't need these events to celebrate the holidays. Don't give arbitrary gifts: Many people give gifts to everyone they know. That's nuts. Don't give gifts because it's expected or the "American way" give gifts that matter to the people who matter most. Consider giving gifts to only your immediate (IN THE HOUSE) family and see how it goes. Go used: It’s 100% okay to buy thrift store gifts or even to re-gift. Why waste new goods and materials? Plus, while some feel re-gifting is tacky, what's actually tacky is tossing stuff you'll never use into a landfill when someone else might like it. Get over your obligation to hold onto gifts you don't need. Avoid guilt: Tell friends and family before the holiday season hits that you’re only giving gifts to your immediate family, or only giving gifts to the kids. Ask people nicely not get you anything and if they won't listen, don't let guilt force you into buying some meaningless gift for the person. Give experience or homemade gifts: Experience gifts and homemade gifts say you care enough to spend time over excessive money. Ban gift cards: I rarely feel like gift cards are a good gift. To me a gift card usually says, “I feel like I have to get you a gift, but I don’t know you well enough to pick a personal gift out.” Gift cards can work, say for iTunes when you're unclear about the music someone owns, but overall, there are more meaningful gifts to be had.